In B.C. and across Canada, the past 12 months have seen information rights make headlines on a regular basis. And usually not in a good way. At the B.C. Freedom of Information and Privacy Association, much of our year was spent (once again) in sparring matches with the provincial government over access, transparency, and privacy issues. In B.C. and across Canada, the past 12 months have seen information rights make headlines on a regular basis. And usually not in a good way. At the B.C. Freedom of Information and Privacy Association, much of our year was spent (once again) in sparring matches with the provincial government over access, transparency, and privacy issues. At the top of the list was finally winning the long-delayed release of the government's full $300-million Workplace Services Agreement with IBM, held back for eight years by stall tactics and failed legal challenges (all charged to the B.C. taxpayer, by the way). 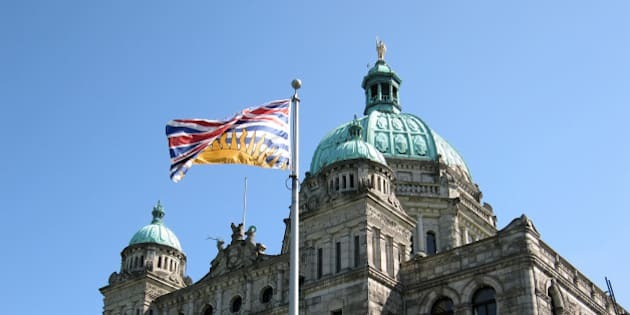 Credit, however, is due to the government for finally obeying the order of the B.C. Supreme Court and releasing a full, un-redacted copy of the agreement. The disclosure was a major victory for FIPA, but more importantly, for the people of B.C. The court's decision, and the government's response to it, establishes a new standard for transparency around government contracting and procurement, and will hopefully lead to more proactive disclosure of documents pertaining to the disbursement of public funds. Of course, we're still waiting to see just how the government will make much such records available, but the precedent has been set. But while release of the IBM contract was a long overdue step forward for the government, they also took some major steps backward. For example, in the last week of the spring sitting of the legislature (which would turn out to be the last sitting of the year), the government jammed some seriously damaging amendments to information and privacy law into four pieces of otherwise innocuous legislation. These bills dealt with generic drug pricing, animal disease outbreaks, medical first responders, and coastal ferries administration, not information and privacy rights. Despite an unprecedented four letters from Information and Privacy Commissioner Elizabeth Denham, each strongly criticizing the bills, they went ahead all the same, putting huge amounts of public information under the lock and key of ministerial and cabinet secrecy, and opening sensitive personal data to new threats. FIPA wrote to B.C. Premier Christy Clark, protesting this piecemeal repeal of the Freedom of Information and Protection of Privacy Act. The response, sent by then Minister of Citizen Services, Labour, and Open Government Margaret MacDiarmid, offered little more than talking points. To these access rollbacks, the government also added a couple of privacy horror shows. First came the disastrous rollout of the leaky, dysfunctional Integrated Case Management system and then the mysterious data breach at the Ministry of Health. At least the government's plans to introduce a poorly-documented province wide ID card were put on hold because of a labour dispute at ICBC. Will the B.C. Liberals risk the data disaster trifecta by bringing it in just before the provincial election? We also found ourselves in the midst of a couple of other troubling issues, which are now under investigation by the information and privacy commissioner. First, we complained about the fact that about two-thirds of completed FOI requests are not being posted on the government's website, contrary to their promise to do so. We then revealed that almost a quarter of general FOI requests come back from the B.C. government with no documents whatsoever, while more than a third of requests filed by the media come back empty handed. We look forward to the results of the commissioner's investigations in the new year. We are also looking forward to the results of an investigation into the failure by public bodies across the province to release information about dangers to health safety and the environment. This investigation was based on a complaint filed by the Environmental Law Clinic at the University of Victoria on behalf of FIPA, and was the culmination of two years of research into the public sector's failure to disclose. So while 2012 may have brought plenty of grim news on the information rights front, our fingers are crossed for a brighter 2013.